Back in November I got really excited and decided to join Ana and Iris for Long-Awaited Reads Month. No, it’s not what you think: I am not giving up on it, not at all. Even though I am about halfway though Stephen King’s 11/22/63, which I could technically count because it has been on my wishlist (if not my shelf) for the better part of a year, I decided to pick a book to read that has been on my shelf for a good long while, one that isn’t so long I might never finish it before the month’s end. 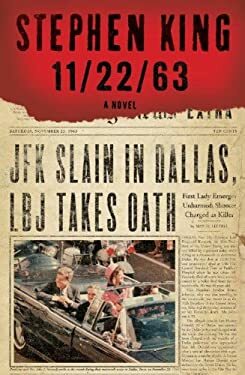 I’ll start with 11/22/63: I’m about halfway through this big hunk of a book, which is 850 pages long. (I’m reading it on my Kindle, so there’s no danger of sustaining injury should I fall asleep while reading in bed.) The last King novel I read was Misery, back in 1988! That summer I also read Skeleton Crew, and several years before either of those I read The Shining, which is still one of the scariest books, I think. I read it in one sitting and thought nothing of it until I awoke that night and could not get the sound of the empty elevator going up and down, up and down in The Overlook, carrying ghost revelers to their rooms. This latest King book is not about horror. It’s about time travel. The main character has been asked to travel back through time and stop the Kennedy assassination. I’ll save the details for another post, but so far the story is carrying me along. I’m always wary of time-travel stories because there are so many obvious problems with it. To his credit, King handles some of these issues (such as how the “present” person’s appearance in the past changes events, etc.) well without actually trying to give a heavy explanation. He sort of lets it be a mess, which I like, because the main character, a high-school English teacher, doesn’t know how it all works either. He figures things out as he goes; some things he gets and others he realizes he might not ever understand. King doesn’t write the most graceful prose, but he writes clearly. The main thing is that I keep hearing his voice narrating the story. This is probably because my copy of On Writing is an audio book (it is the only audio book I’ve ever listened to, actually, and the only one I own, as I tend to feel about audio books the way some people feel about e-readers) and is narrated by King. So poor Jake Epping/George Amberson might be a high-school English teacher from Wisconsin who’s in his mid-thirties, but in my head he’s a 65-year-old novelist from Maine. Oh well. He tells a pretty good story. The book I decided to read for Long-Awaited Reads Month is Zadie Smith’s The Autograph Man. I ordered it on clearance from Barnes and Noble back in 2007, if memory serves, but I never read it. I ordered it because I had enjoyed On Beauty, which I had read the previous year. All her recent success with NW made me decide to pick it up now.I’m only a few pages in, but so far it’s pretty good. I’m happy to be giving it a chance after six years! I actually had to restart King’s book twice because I didn’t like it at the beginning. But everyone else kept badgering me to try it again, and it ended up being on my best of the year list! I liked 11/23/63 very much though at some point it started to slow down a bit and you really had to keep on going. I have a bookseat and sometimes I fall asleep with that thing on my chest and my Kindle will drop on my head eventually so I had to laugh reading your comment about injuries. Ciska, the Kindle falling on my head thing would happen to me, too! LOL 11/22/63 is slowing a bit now, right in the middle. I’m right at the part with Sadie, just before LHO is set to move to Texas. Just have to keep reading! It’s for book club. 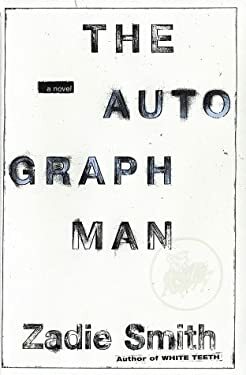 Strangely enough, The Autograph Man is a book whose existence I keep forgetting. I know it’s out there, but I still catch myself thinking I have read all of Zadie Smith’s novels and need to wait for the next one she’ll publish, when in fact I haven’t. Looking forward to your thoughts on it, and thanks for reminding me of it again. Ana, because it was her second novel, I think a lot of people overlook it. It wasn’t as critically well-received as White Teeth, and it was overshadowed by On Beauty. I’m about 40 pages in and so far all I can say is that the premise is interesting and her writing is always a joy to read.